Mini version of the Scoot holds either letter-size or legal-size files and slides under any worksurface. Easy access pocket on the side of the Scoot allows you to put frequently used files away quickly. Durable steel construction means this cart can withstand heavy usage. 2" oversized swivel casters with two locking allow easy mobility. 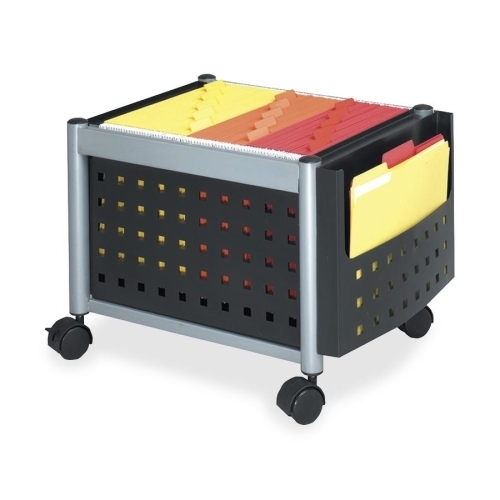 Mini Scoot Mobile File fits under most worksurfaces to open valuable floor space.